Red Comet Unveils Brand New Online High School Course on How to be Successful at Work. Red Comet, an Accredited, Self-Paced, Online High School, Launches New Career Elective Course. Red Comet is introducing a new online high school course that will help students to succeed at their work and career. 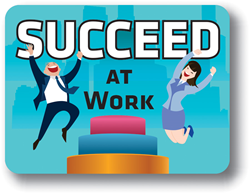 For the 2017-18 school year, students may enroll in ‘Succeed at Work’ course which will prepare students to effectively manage their career and ensure upward mobility in their respective jobs. Career success does not begin with job search, nor does it begin with completing college or university education. It does not begin with entering the workforce, either. In fact, career success begins in high school, when the student is still building the right academic skills for successfully completing postsecondary education. Red Comet’s ‘Succeed at Work’ course exposes students to some key strategies that will help them stay at the top of their career. Students learn about effective communication strategies, tools for career planning & management, developing skills in effective problem solving & critical thinking, managing their time resourcefully, and honing their leadership skills. They learn the importance of being ethical, responsible & flexible, understanding the importance of health & safety, staying on top of technology and becoming an effective team player. This course is a must for anyone who wants to advance in their jobs and increase their chances for career success. Red Comet is a Fully Accredited (NWAC, AdvancED) organization that has been offering online courses for credit since 1999. Students have over 175 courses to choose from. Many of these courses are also approved by the NCAA organization. In the State of Washington, the Office of Superintendent of Public Instruction (OSPI) has approved the Red Comet program as a “Multi-District Online Provider,” “Online Course Provider,” and “Online School Program.” In a statewide survey, Red Comet received high ratings for student satisfaction. Students use the Red Comet online program for original credit, credit retrieval, and credit recovery.